I know this LG V20 review should have been out months ago, but hey, better late than never, right? 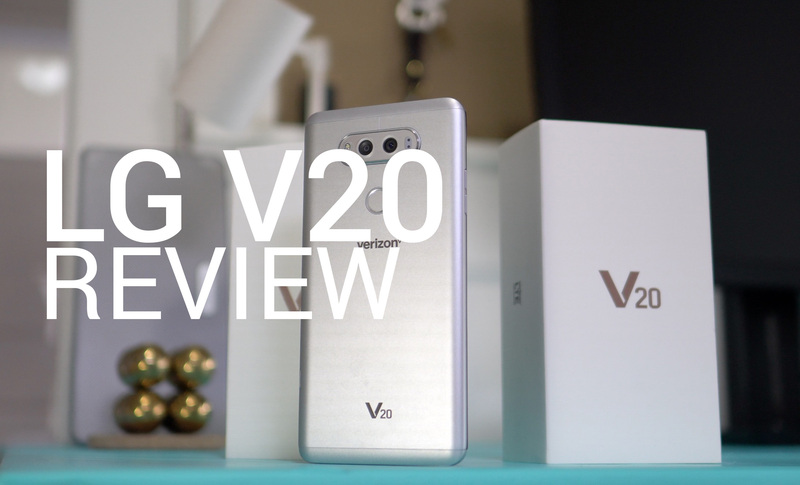 Actually, as you’ll find out in the video below, the V20 has just been one of the tougher phones to review. It’s not that LG hasn’t done some good things here, it’s just that the V20 comes off as such a niche device with a small audience that the approach to reviewing it had to be figured out too. Either way, it’s here, our LG V20 review. You may be asking, “What’s so weird about the V20?” Well, after spending time with it off and on over the past few months, I just don’t get the feeling that this is a phone for everyone. This is a phone for people who like enormous phones that are enormous for the sake of being enormous. This is a phone for the serious audiophile who needs a Quad DAC in a smartphone. This is for the pro creator who needs manual controls in the camera or the guy who swaps batteries at least once a day. What I don’t think the V20 is, is the best overall phone that gets the basics right that will make the majority of us happy. I’m talking about having great cameras, a great design, manageable size, the best software, and a reasonable price. Now, don’t get me wrong about the price. LG likely had to price the V20 where it did because they included a DAC, HiFi video and audio recording, and dual cameras. Unfortunately, it becomes a tough recommendation because Google’s Pixel phones, Samsung’s Galaxy S7 line, and the OnePlus 3T are all slightly cheaper and better in the key categories. We’ll dive deeper into all of that in the video below. On a related note, V20 owners, we get it, you love your V20. I think that’s awesome even if this isn’t the phone for the majority of us because the best part of Android has always been choice. Own that V20 proudly.